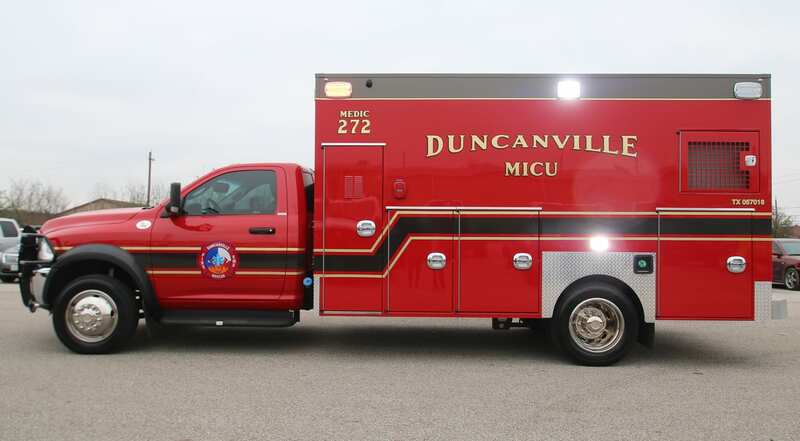 Take a virtual tour of the latest custom emergency vehicle built for Duncanville Fire Department! 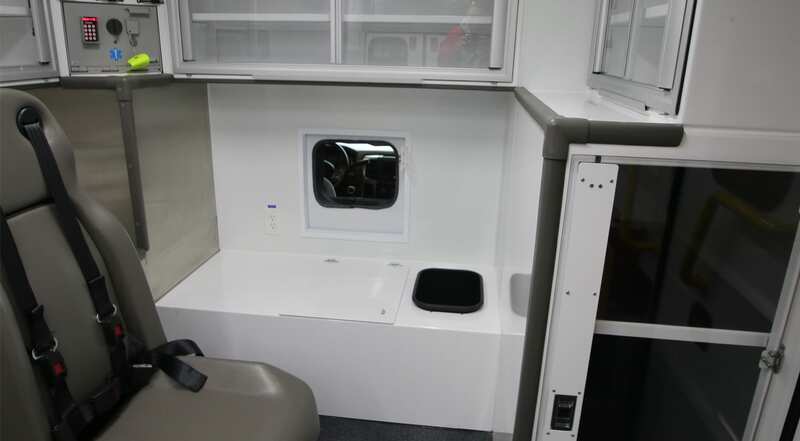 This custom built 14 ft. 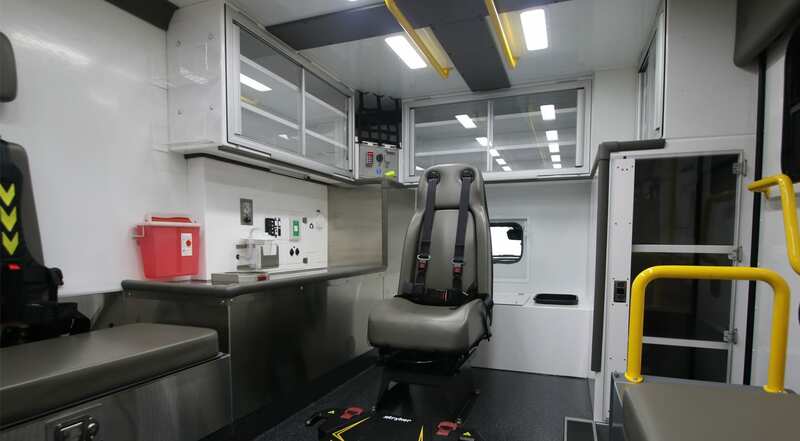 Type I EMS vehicle is mounted onto a 2018 RAM 4500 diesel chassis and features Austin Hardware & Supply Inc. LifeDefender Cabinets, a Technimount mounting bracket, Stryker Power Pro-XT and Stretcher Cot-System, and Safety Vision 360° Camera System. 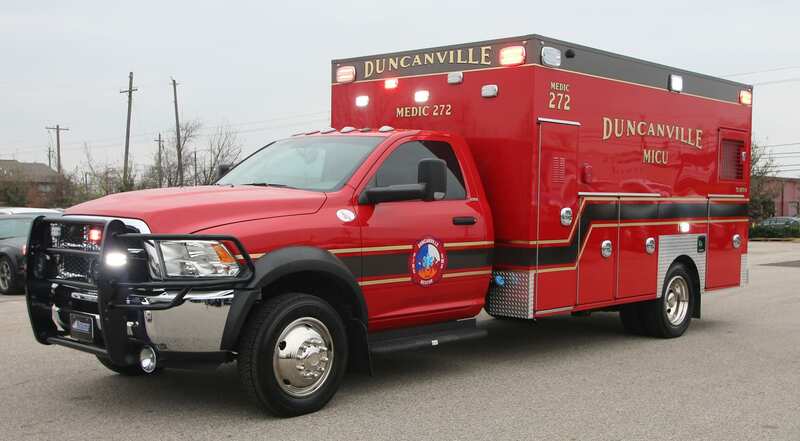 Learn about the services of Duncanville Fire Department. 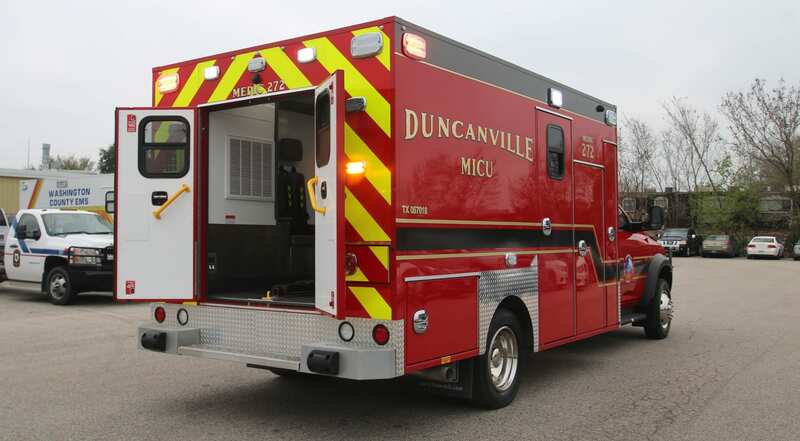 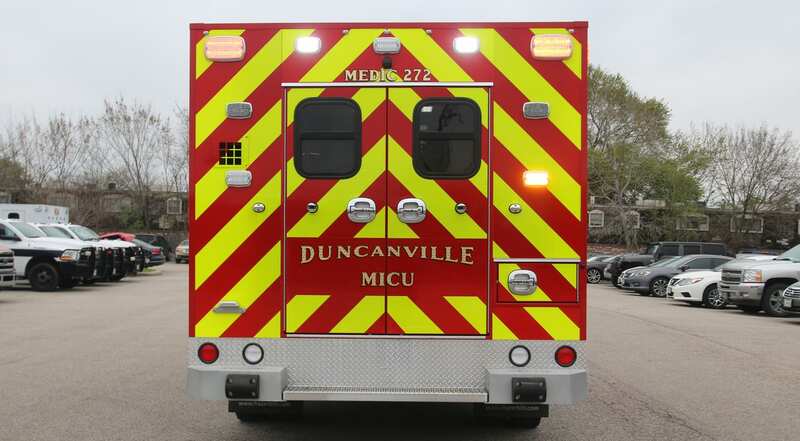 Take a video tour of Duncanville Fire Department’s unit here. 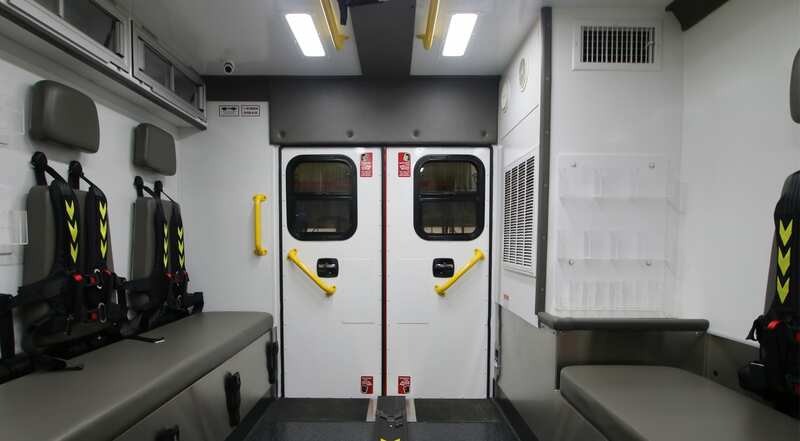 Learn how a custom emergency vehicle is made? 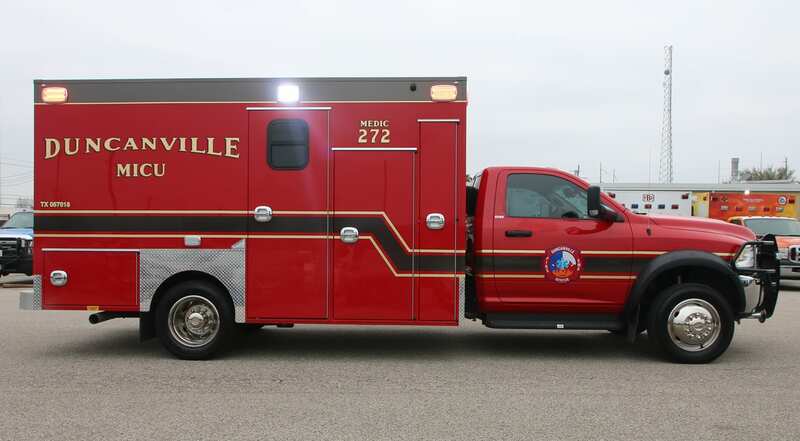 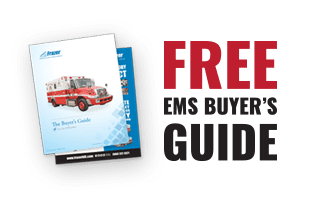 Follow the build of a Houston Fire Department EMS Vehicle from start to finish! 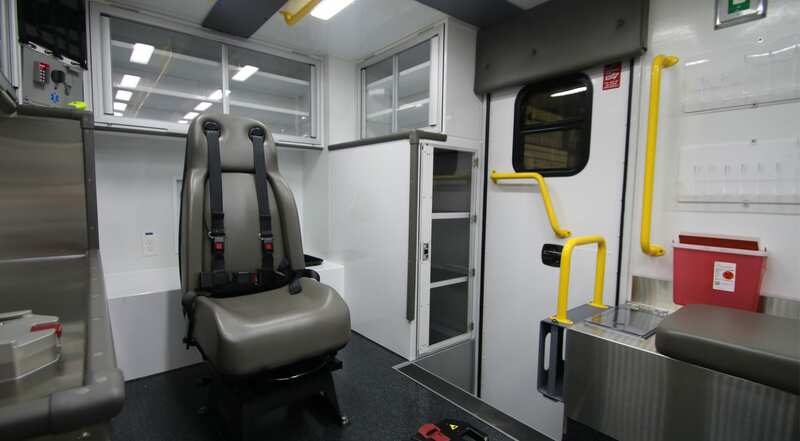 See the standard features of a Frazer Custom Type I EMS Vehicle. 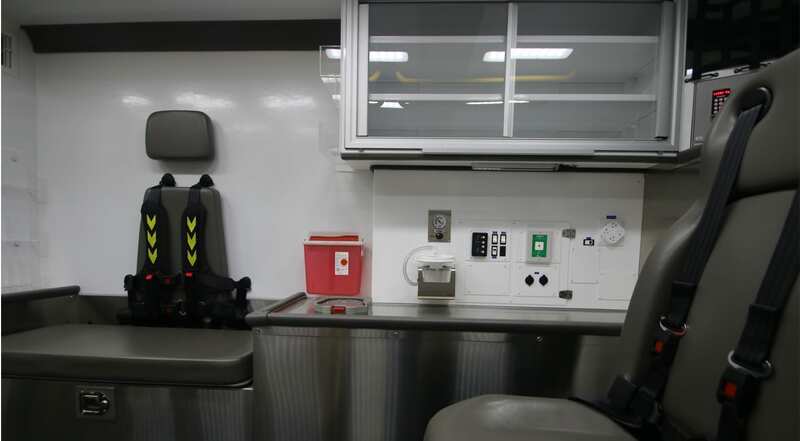 Check out our Delivery Photos page to see other Frazer EMS Vehicles and features.